The following information is provided by Security and Transport Section , posted by the Alumni and Development Office. 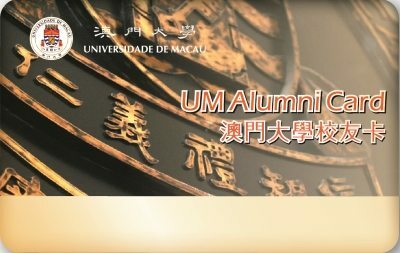 The 《University of Macau (UM) Parking Management Rules》, published in the Macao SAR Government Official Gazett on 6 July 2016, in the second series of the 27th issue, has been taken effect since 7 July. UM on 17 July began to charge a fee for visitor parking according to the Rules and the parking fee for UM Alumni is waived until 31 December 2016. The transitional period is expired on 1 January 2017, and parking fee for visitors is charged. Alumni can enjoy 50% discount on hourly parking rate. Please show your valid UM alumni card to the Shroff for waiving 50% of the parking fee. Moreover, alumni can apply for a monthly pass. Since the supply of parking spaces is limited, the needs of UM staff, students and alumni who are working on campus will be considered with priority when considering the applications. In general, monthly pass is not applicable to Visitor Car Park P1 (basement of N8 UM Sports Complex). The parking fee will be calculated according to the hourly rate. Alumni, who would like to apply for the monthly pass, should contact with Security and Transport Section. In addition, alumni’s vehicles which are currently being parked in UM car parks should be departed before 1 January 2017. Otherwise, the parking is considered and charged as an hourly parking from 1 January 2017 at midnight. Should you have any enquiries, please contact with Security and Transport Section (Tel: 8822 8651) or email to sts.transport@umac.mo. Thank you for your kind attention and usual support to STS as always.